10) Consider the three points of fairness: equity, 2 party dialogue and did you keep the spirit of the argument? What do you think? 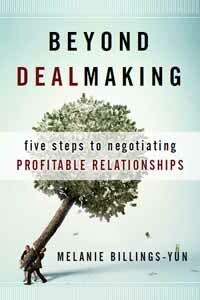 Does this resonate with your experience in negotiating? This entry was posted on Friday, November 18th, 2011 at 5:15 pm and is filed under Leadership/Management. You can follow any responses to this entry through the RSS 2.0 feed. You can leave a response, or trackback from your own site.